He blames Germany for the outbreak of the war, declaring that Austria’s issue with Serbia should have been settled peacefully. Germany, he says, has been preparing for this war for a generation, and brought it on because they felt the preparations were complete. 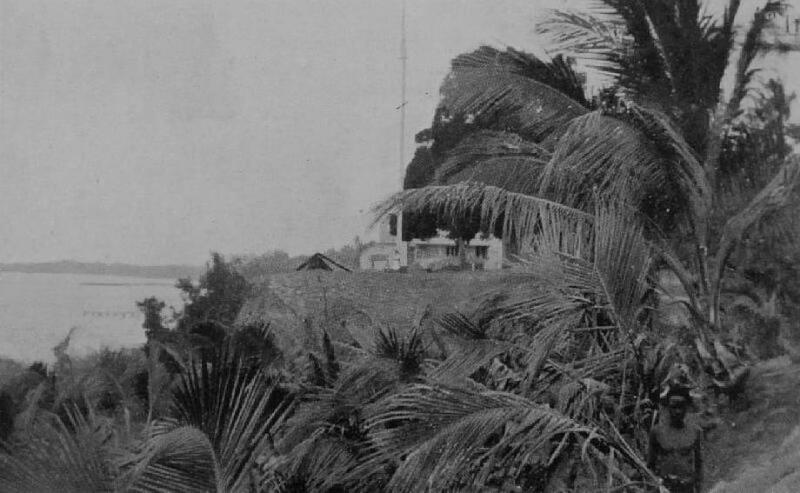 Indeed, the Kaiser only recently completed his goal of constructing a fleet large enough to threaten Britain’s naval monopoly as well as the global radio transmission network necessary to conduct war in every ocean. 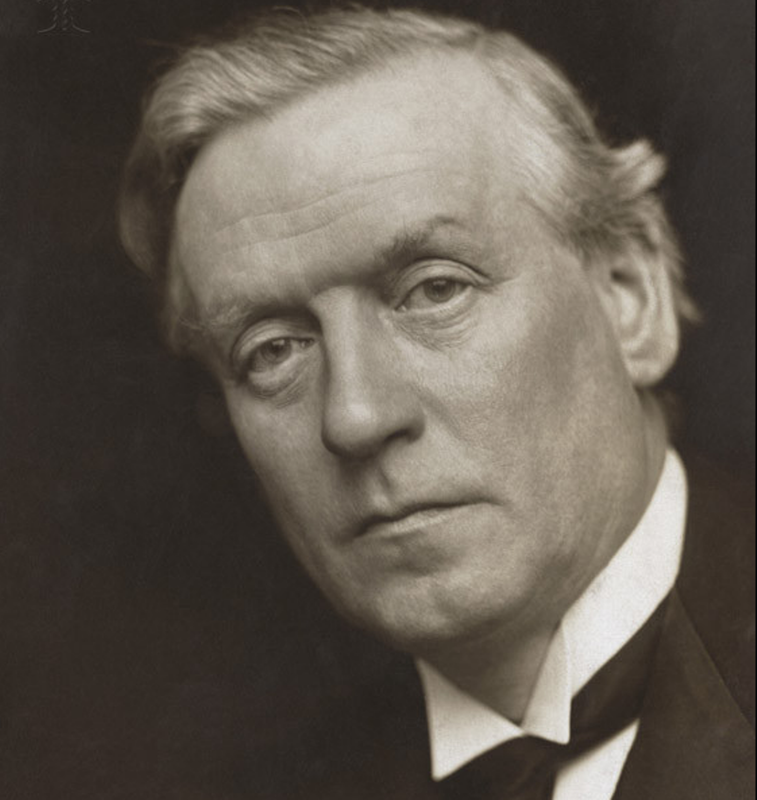 Referring to widespread, though sometimes inaccurate reports of atrocities in occupied territories, Asquith says the German invasion of Belgium and France “has contributed some of the blackest pages in the somber annals of war.” Then he proceeds to ask the people of Ireland to go fight and die for a crown that has visited centuries of unspeakable atrocity on them. “Great is our responsibility for allowing our country to be drawn into such a welter, but there was one thing worse than to take such responsibility, and that was to shirk it,” he says. Half a million men have already volunteered, and another half million are needed. 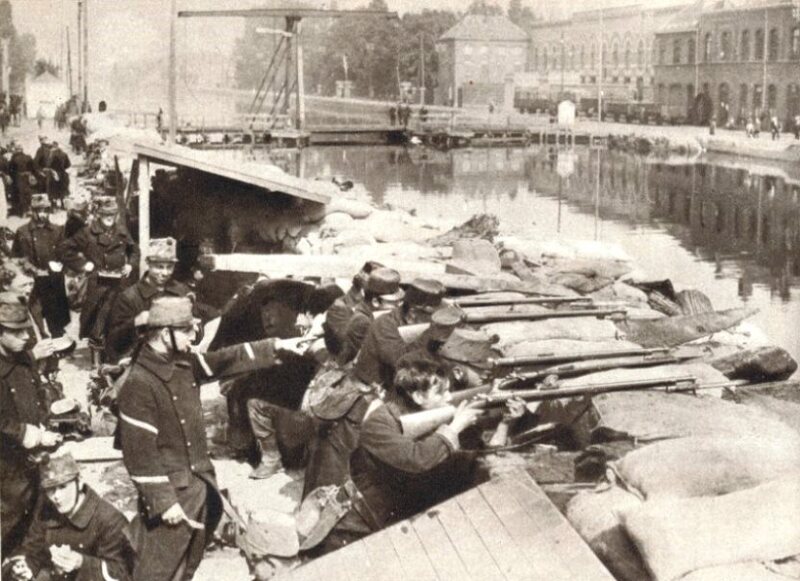 Then, just as George called for the creation of a Welsh army corps, Asquith calls for an Irish army corps to carry the nascent nation’s unique identity into battle. 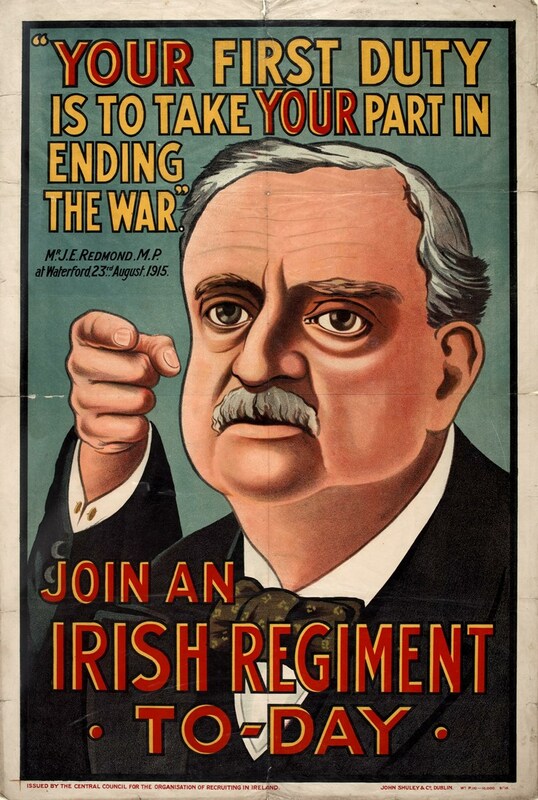 Then it is John Redmond’s turn. 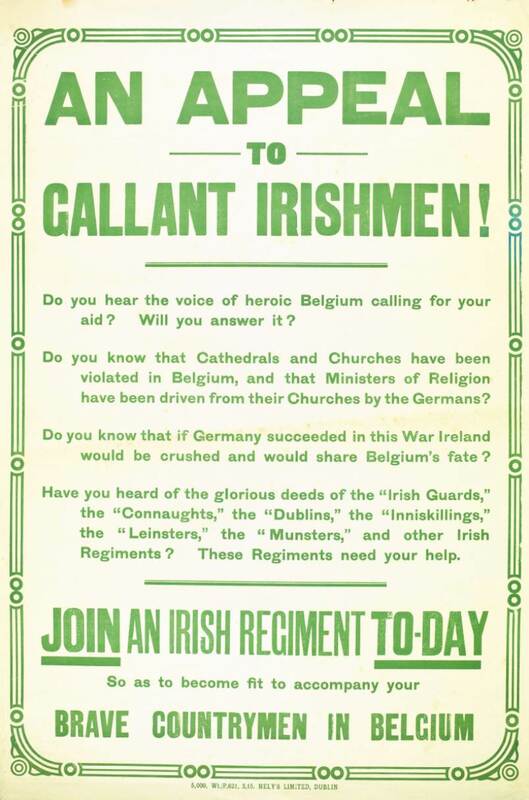 Ireland, he says, is in “heartfelt sympathy” about the war, and will bear her share of burdens and suffering. Now that Ireland has been granted autonomy, she is honor-bound to take her place within the Empire. He has been the foremost advocate of Home Rule for Ireland, but that process has been suspended for the duration of the war. Total war makes every political constituency expendable. Mary Leigh, the woman who threw the hatchet, escapes arrest to join an accomplice named Gladys Evans. Together, they attempt to set a fire at the Theatre Royal, where Asquith has just enjoyed a show. After igniting curtains behind one of the balconies, they throw flaming furniture into the orchestra and set off homemade bombs. Arrested without resistance, they are sentenced to five years, but only serve a few weeks in prison.